P. Sanjeev, Narayana Prasad Padhy and P. Agarwal, "Peak Energy Management Using Renewable Integrated DC Microgrid," in IEEE Transactions on Smart Grid, vol. 9, no. 5, pp. 4906-4917, Sept. 2018. M. V. Gururaj and Narayan Prasad Padhy “A Novel Master/Slave Based Decentralized Coordinated Voltage Control Scheme for Medium Voltage DC Microgrid”, IEEE Transaction on Industrial Informatics, Vol. 14, No. 5, May 2018, pp. 1962-1973. Subho Paul and Narayana Prasad Padhy, “Resilient Scheduling Portfolio of Residential Devices and Plug-in Electric Vehicle by Minimizing Conditional Value at Risk”, IEEE Transactions on Industrial Informatics, Accepted for publication [In Press], June. 2018. Krishna Murari and Narayana Prasad Padhy “A Network-Topology Based Approach for the Load Flow Solution of AC-DC Distribution System With Distributed Generations”, IEEE Transactions on Industrial Informatics, Accepted for publication [In Press], June. 2018. Chen Zhao, Shufeng Dong, ChenghongGu, Furong Li, Y. H. Song and Narayan Prasad Padhy “New Problem Formulation for Optimal Demand Side Response in Hybrid AC/DC Systems”, IEEE Transaction on Smart Grid, Vol. 9, No. 4, July 2018, pp. 3154-3165. Yuankai Bian, Heather Wyman Pain, Furong Li, Rohit Bhakar, Sukumar Mishra and Narayan Prasad Padhy “Demand Side Contributions for System Inertia in the GB Power System”, IEEE Transaction on Power Systems, Vol.33, No. 4, June 2018, pp. 3521-3530. Systems”, Electric Power Components and Systems(Taylor and Francis), April. 2018, pp. 1-18. Krishna Murari and Narayana Prasad Padhy “An Efficient Graphical Method for Load Flow Solutions of Distribution Systems”, Arabian Journal for Science and Engineering(Springer), Vol.1, No.1, Feb.2018, pp. 1-18. CH Ram Jethmalani, Sishaj P Simon, K Sundareswaran, P Srinivasa Rao Nayak and Narayana Prasad Padhy “Real Coded Genetic Algorithm Based Transmission System Loss Estimation in Dynamic Economic Dispatch Problem”, Alexandria Engineering Journal (Elsevier), Accepted for publication [In Press], Dec. 2018. M. Senthil Kumar, Sishaj P Simon, K. Sundareswaran, P. Nayak, and Narayan Prasad Padhy, “An Empirical Fourier Transform based Power Transformer Differential Protection”, IEEE Transactions on Power Delivery, Vol. 32, No. 1, Feb. 2017, pp. 209-218. Anilkumar, T, T., Sishaj P Simon, P. Nayak, K. Sundareswaran and Narayan Prasad Padhy, “Pico-Hydel Hybrid Power Generation System with an Open Well Energy System”, IET Generation, Transmission and Distribution, Vol. 11, No. 3, Feb. 2017, pp. 740-749. Ram Jethmalini Hemparuva, Sishaj P Simon, K. Sundareswaran, P. Nayak and Narayan Prasad Padhy, “Auxiliary Hybrid PSO-BPNN based Transmission System Loss Estimation in Generation Scheduling”, IEEE Transaction on Industrial Informatics, Vol. 13, No. 4, Aug. 2017, pp. 1692-1703. Anilkumar, T, T., Sishaj P Simon, and Narayan Prasad Padhy, “Residential Electricity Cost Minimization Model Through Open Well-Pico Turbine Pumped Storage System”, Applied Energy(Elsevier), Vol. 195, June. 2017, pp. 23-35. BalakrishnaMuruganantham, R. Gnandass and Narayan Prasad Padhy, “Challenges with Renewable Energy Sources and Storage in Practical Distribution Systems”, International Journal of Renewable and Sustainable Energy Reviews(Elsevier), Vol. 73, Jan. 2017, pp. 125-134. BalakrishnaMuruganantham, R. Gnandass and Narayan Prasad Padhy, “Reactive Power Reallocation in the Distribution System with DSTATCOM”, International Journal of Energy Procedia(Elsevier), Vol. 117, Sept. 2017, pp. 485-492. Selvam, M. Muthamizh, R. Gnanadass and Narayan Prasad Padhy, “Fuzzy Based Clustering of Smart Meter Data Using Real Power and THD Patterns”, International Journal of Energy Procedia(Elsevier), Vol. 117, Sept. 2017, pp. 401-408. Nandkishor Kinhekar, Narayana Prasad Padhy, F. Li and Hari Om Gupta, “Utility Oriented Demand Side Management using Smart AC and Micro DC Grid Cooperative”, IEEE Transactions on Power Systems, Vo. 31, No. 2, March 2016, pp. 1151-1160. Selvam, M. Muthamizh, R. Gnanadass and Narayan Prasad Padhy, “Initiatives and Technical Challenges in Smart Distribution Grid”, International Journal of Renewable and Sustainable Energy Reviews(Elsevier), Vol. 58, May 2016, pp. 911-917. Furong Li, J. W. Marangon-Lima, Hugh Rudnick, Luana M. Marangon-Lima, Narayana Prasad Padhy, GertBrunekreeft, Javier Reneses and Chongqing Kang, “ Distribution Pricing: Are we ready for Smart Grid?”, IEEE Power and Energy Magazine, Vol. 13., No. 4, July-Aug 2015, pp. 76-86. Vinod Kumar Yadav, Narayana Prasad Padhyand H. O. Gupta, “Holistic Approach Model for Realistic Goal Setting for Efficiency Enhancement with Application to Indian Power Sector”, Energy Sources (Part B, Economics, Planning, and Policy; Taylor and Francis), Vol.10, No.2, pp. 120-131, April 2015. K. Chandrasekaran, Sishaj. P. Simon and Narayana Prasad Padhy, “SCUC Problem for Solar/Thermal Power System Addressing Smart Grid Issues Using FF Algorithms”, International Journal of Electrical Power and Energy Systems(Elsevier), Vol. 62, 2014, pp. 450-460. NandkishorKinhekar, Narayana Prasad Padhy and Hari Om Gupta, “Multi-objective Demand Side Management Solutions for Utilities with Peak Demand Deficit”, International Journal of Electric Power and Energy System (Elsevier), Vol.55, Feb. 2014, pp.612-619. N. Sivakumar, D. Das, Narayana Prasad Padhy, “Variable Speed Operation of Reversible Pump-Turbines at Kadamparai Pumped Storage Plant- A Case Study”, Journal of Energy Conversion and Management(Elsevier), Vol.78, Feb. 2014, pp. 96-104. N. Sivakumar, D. Das, Narayana Prasad Padhy, “ Economic Analysis of Indian Pumped Storage Schemes”, Journal of Energy Conversion and Management(Elsevier), Vol.88, Sept. 2014, pp. 168-176. K. Chandrasekaran, Sishaj. P. Simon and Narayana Prasad Padhy, “Cuckoo Search Algorithm for Emission Reliable Economic Multi-Objective Dispatch Problem”, IETE Journal of Research (Tailor and Francis), Vol. 60, No. 2, 2014, pp. 128-138. Kanwardeep Singh, Vinod Kumar Yadav, Narayana Prasad Padhy and J. D. Sharma, “Congestion Management Considering Optimal Placement of Distributed Generator in Deregulated Power System Network”, Electric Power Components and Systems(Taylor and Francis), Vol.42, No.1, 2014, pp. 13-22. Vinod Kumar Yadav, Narayana Prasad Padhyand H. O. Gupta, “The Evaluation of the Efficacy of Ongoing Reform Initiative of an Indian Electric Utility”, Energy Sources (Part B, Economics, Planning, and Policy; Taylor and Francis), Vol.9, No.3, 2014, pp. 291-300. K. Chandrasekaran, Sishaj. P. Simon and Narayana Prasad Padhy, “Binary Real Coded Firefly Algorithm for Solving Unit Commitment Problem”, International Journal of Information Science(Elsevier), Vol. 249, 2013, pp. 67-84. N. Sivakumar, D. Das, Narayana Prasad Padhy, A.R. Senthil Kumar and N. Bisoyi, “ Status of Pumped Hydro Storage Schemes and its Future in India”, International Journal of Renewable and Sustainable Energy Reviews(Elsevier), Vol. 19, 2013, pp. 208-213. Vinod Kumar Yadav, Y. K. Chauhan, Narayana Prasad Padhyand H. O. Gupta, “A Novel Power System Restructuring Model Based on Data Envelopment Analysis(DEA)”, International Journal of Electric Power and Energy System (Elsevier), Vol. 44, 2013, pp. 629-637. Niranjan Kumar, Debadutta Das and Narayana Prasad Padhy, “Transmission Pricing Reform in India: CERC’s next frontier”,Energy Sources( Part B, Economics, Planning, and Policy; Taylor and Francis), Vol. 8, 2013, pp. 328-338. K. Chandrasekaran, S. Hemamalini, Sishaj. P. Simon and Narayana Prasad Padhy, “Thermal Unit Commitment Using Binary/Real Coded Artificial Bee Colony Algorithm”, International Journal of Electric Power System Research(Elsevier), Vol.84, 2012, pp. 109-119. Rohit Bhakar, Narayana Prasad Padhy, and H. O. Gupta, “Network pricing in India: Policies and practices”,Energy Sources( Part B, Economics, Planning, and Policy; Taylor and Francis), Vol.7, No.3, 2012, pp. 265-274. Kanwardeep Singh, Narayana Prasad Padhy and J. D. Sharma,“Influence of Price Responsive Demand Shifting Bidding on Congestion and LMP in Pool Based Day-Ahead Electricity Markets”, IEEE Transactions on Power Systems, Vol. 26, No. 2, May. 2011, pp. 886-896. Kanwardeep Singh, Narayana Prasad Padhy and J. D. Sharma,“Congestion Management Considering Hydro-Thermal Combined Operation in a Poll Based Electricity Market”, International Journal of Electric Power and Energy System (Elsevier), Vol. 33, No.8, Oct. 2011, pp. 1513-1519. Kanwardeep Singh, Narayana Prasad Padhy and J. D. Sharma,“Transmission Expansion Planning Including Reactive Power Procurement in Deregulated Environment”, Electric Power Components and Systems (Taylor and Francis), Vol.33, No. 13, 2011, pp. 1403-1423. Vinod Kumar Yadav, Narayana Prasad Padhyand H. O. Gupta, “Performance Evaluation and Improvement Directions for an Indian Electric Utility”, Energy Policy (Elsevier), Vol. 39, Nov. 2011, pp. 7112-7120. Rohit Bhakar, V.S. Sriram,Narayana Prasad Padhyand H.O. Gupta, “Probabilistic Game Approaches for Network Cost Allocation”,IEEE Transactions on Power Systems, Vol. 25, No.1, Feb. 2010, pp. 51-58. Kanwardeep Singh, Narayana Prasad Padhy and J. D. Sharma, “Social Welfare Maximization Considering Reactive Power and Congestion Management in Deregulated Environment”, Electric Power Components and Systems (Taylor and Francis), Vol.38, Jan. 2010, pp. 50-71. Vinod Kumar Yadav, Narayana Prasad Padhyand H. O. Gupta, “A Micro Level Study of an Indian Electric Utility for Efficiency Enhancement”, ENERGY (Elsevier), Vol. 35, Issue 10, Oct. 2010, pp. 4053-4063. I. Jacob Raglend, C. Raghuveer, G. Rakesh Avinash, Narayana Prasad Padhy and D.P.Kothari, “Solution to Profit based Unit Commitment Problem using Particle Swarm Optimization”, Int. Journal of Applied Soft Computing(Elsevier), Vol. 10, No. 4, Sept. 2010, pp. 1247-1256. F. Li, David Tolly, Narayana Prasad PadhyandJi Wang ‘Framework for Assessing the Economic Efficiencies of Long-Run Network Pricing Models’, IEEE Transactions on Power Systems, Vol. 24, 2009, pp. 1641-1648. Rohit Bhakar, V. S. Sriram, Narayana Prasad Padhy, and H. O. Gupta, “Transmission Embedded Cost Allocation in Restructured Environment: A Game Theoretic Approach,” Electric Power Components and Systems(Taylor and Francis), Vol. 37, Sept. 2009, pp. 970-981. F. Li, Narayana Prasad Padhy, Ji Wang and Bless Kuri, ‘Cost-Benefit Reflective Distribution Charging Methodology’, IEEE Transactions on Power Systems, Vol. 23, No. 1., Feb. 2008, pp. 58-64. Jacob Regland and Narayana Prasad Padhy, “Comparison of Practical UCP Solutions”, Electric Power Components and Systems(Taylor and Francis), Vol. 36, No.8, Aug. 2008, pp. 844-863. Sidhartha Panda and Narayana Prasad Padhy, "Optimal location and controller design of STATCOM for power system stability improvement using PSO", Journal of Franklin Institute (Elsevier), Vol. 345, No. 2.,March. 2008, pp. 161-168. Sidhhartha Panda and Narayana Prasad Padhyand R. N. Patel, "Power System Stability Improvement by PSO Optimized SSSC-based Damping Controller", Electric Power Components and Systems(Taylor and Francis), No. 36, May 2008, pp. 468-490. Sidhartha Panda and Narayana Prasad Padhy, “Comparison of particle swarm optimization and genetic algorithm for FACTS-based controller design”, Applied Soft Computing Journal(Elsevier), Vol. 8, issue 4, Sept. 2008, pp. 1418-1427. Narayana Prasad Padhy and Abdel Moamen, M. A., “Optimal Placement of FACTS Devices for Practical Utilities”, International Journal of Power and Energy Systems(IASTED), Vol.27, No.2, May 2007, pp. 193-204. Y. R. Sood, Narayana Prasad Padhy, and H. O. Gupta, “Deregulated Model and Locational Marginal Pricing”, Electric Power System Research (Elsevier), Vol. 77, April 2007, pp. 574-582. Ulagammai, M., Venkatesh, P., Kannan, P.S. and Narayana Prasad Padhy ., “Application of bacterial foraging technique trained artificial and wavelet neural networks in load forecasting”, Journal of Neurocomputing(Elsevier), Vol.70, Oct. 2007, pp. 2659-2667. Abdel Moamen, M. A. and Narayana Prasad Padhy, “Optimal Power Flow Model with TCSC for Practical Power Networks”, International Journal of Power and Energy Systems (IASTED), Vol. 26, No. 1, Jan. 2006, pp. 58-65. S. Simon, Narayana Prasad Padhy and R. S. Anand, “Ant Colony System Approach for Unit Commitment Problem”, International Journal of Electric Power and Energy Systems (Elsevier), Vol. 28, No.5, June 2006, pp. 315-323. S. Kannan, S. Mary Raja Slochanal, S. Baskar and Narayana Prasad Padhy, “Application And Comparison Of Metaheuristic Techniques To Generation Expansion Planning Incorporating Both Bilateral And Multilateral Transactions”, International Journal of Emerging Electric power Systems (Berkeley Press), Vol.6, No.1, Article 2, May 2006, pp.1-12. S. Kanan, S. Mary Raja Slochanal, and Narayana Prasad Padhy, “Application and Comparison of Metaheuristic Techniques to Generation Expansion Planning Problem”, IEEE Transaction on Power Systems, Vol. 20, No. 1, Feb. 2005, pp. 466-475. Narayana Prasad Padhy and Abdel Moamen, M. A., “Power Flow Control And Solutions With Multiple and Multi-type FACTS Devices”, Electric Power System Research (Elsevier),, Vol. 74, June 2005, pp. 341-351. R. Gnanadass, Narayana Prasad Padhy and P. Venkatesh, “Evolutionary Programming Based Optimal Power Flow with Non-smooth fuel Cost Functions”, Electric Power Components and Systems(Taylor and Francis), Vol. 33, No. 3, March 2005, pp. 349-361. R. Gnanadass, T. G. Palanivelu, and Narayana Prasad Padhy, “Determination of SRMC with Non-smooth Fuel Cost Functions Using Evolutionary Programming”, Electric Power Components and Systems (Taylor and Francis), Vol. 33, No.1, Jan 2005, pp. 85-102. Narayana Prasad Padhy, “Unit Commitment – A Bibliographical survey”, IEEE Transactions on Power Systems, Vol. 19, No.2, May 2004, pp. 1196-1205. P. Venkatesh, R. Gnanadass, and Narayana Prasad Padhy, “Available Transfer Capability Determination Using Power Transfer Distribution Factor”, International Journal of Emerging Electric Power System (Berkeley Press), Vol.1, No.2, Article 1009, December 2004, pp. 1-14. R. Gnanadass, Narayana Prasad Padhy and K. Manivanan, “Assessment of Available Transfer Capability for Practical Power Networks With Combined Economic Emission Dispatch”, Electric Power System Research (Elsevier), Vol.69, 2004, pp. 267-276. S. Kanan, S. Mary Raja Slochanal, P. Subaraj, and Narayana Prasad Padhy, “Application of Particle Swarm Optimization Technique and its Variants to Generation Expansion Problem”, Electric Power System Research (Elsevier), Vol. 70, Issue. 3, Aug. 2004, pp. 203-210. Y. R. Sood, Narayana Prasad Padhy, H. O. Gupta, “Assessment for Feasibility And Pricing of Wheeling Transaction Under Deregulated Environment of Power Industry”, International Journal of Electric Power and Energy Systems (Elsevier), 2004, No. 26, pp.163-171. P. Venkatesh, R. Gnanadass, and Narayana Prasad Padhy, “Comparison and Application of Evolutionary Programming Techniques to Combined Economic Emission Dispatch with Line Flow Constraints”, IEEE Transactions on Power Systems, Vol. 18., No. 2., May 2003, pp. 688-692. Narayana Prasad Padhy, “Genetic Algorithm Based Machine Learning Classifier System Model for Unit Commitment Problem”, International Journal of Power and Energy System (IASTED), Vol. 23, No. 1, 2003, pp. 49-61. Y. R. Sood, Narayana Prasad Padhy, H. O. Gupta, “Wheeling of Power Under Deregulated Environment of Power System _ A Bibilographical Survey” , IEEE Transactions on Power Systems, Vol. 17, No. 3, Aug. 2002, pp. 870-878. Narayana Prasad Padhy, D. Das and M. Das, “Cost Assessment of Electrical Energy Interruption – A Case Study for Medium and Small Scale Industries in Indian Scenarios”, Journal of Energy and Environment, Vol.2, Sept. 2002, pp. 93-94. Narayana Prasad Padhy and S. D. Ram, “A New Decision Making Approach for Generation Capacity Bidding With Economic and Environment Impacts”, Journal of Energy and Environment, Vol.2, Sept. 2002, pp. 107-113. Narayana Prasad Padhy, “ Unit Commitment Using Hybrid Models: A Comparative study for Dynamic Programming, Expert System, Fuzzy System and Genetic Algorithm” , International Journal of Electric Power and Energy System (Elsevier), Vol. 23, No. 8, November, 2000, pp. 827-836. Narayana Prasad Padhy, V. R. Ramachandran, and S. R. Paranjothi, “Fuzzy Decision System for Unit Commitment Risk Analysis”, International Journal of Power and Energy System (Elsevier), Vol.19, No. 2, 1999, pp 180-185. 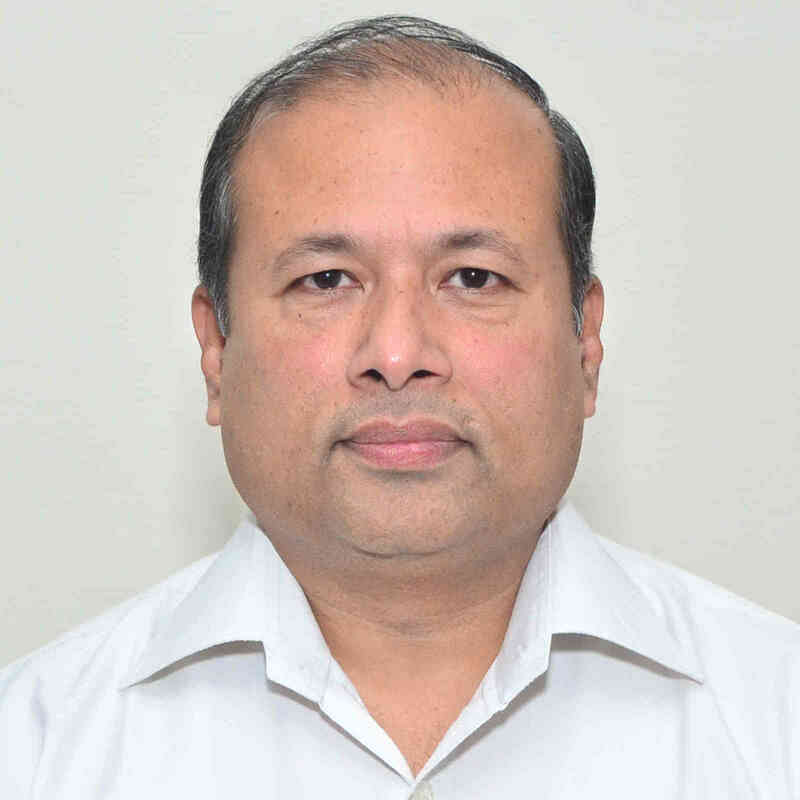 Narayana Prasad Padhy, “A New Fuzzy Expert Decision Making Approach For Unit Commitment With Reliable Risk Reserve And Emission Constraints”, Journal of Energy and Environment, Vol. 1, Nov. 1999, pp. 25-36. Narayana Prasad Padhy, V. R. Ramachandran, and S. R. Paranjothi, “A Hybrid Fuzzy - Neural Network Expert System for Short - Term Unit Commitment Problem”, International Journal of Microelectronics and Reliability (Elsevier), vol.37, No. 5., 1997, pp. 733-737.